Sometimes, not having space or the right tools for a job forces one to be creative. If you’ve read my blog recently, you will know I harvested a ton of herbs out of my garden while doing a little fall clean up. I washed and air dried the herbs and then hung them up in my kitchen window to further dry. 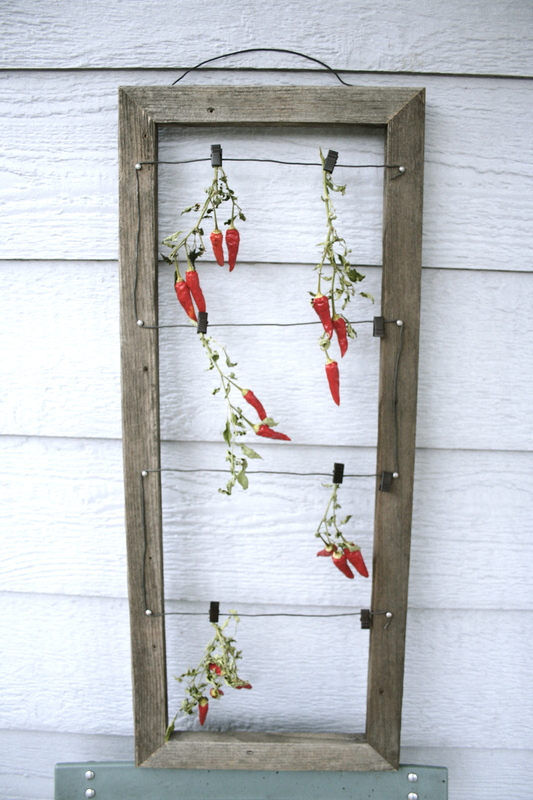 I also had some chili peppers I needed to hang, but, by the time I had hung up all my herbs, there was no room. In thinking of where I could hang them (quickly and easily because that is how I like things) I remembered I had a picture hanger my dad made that wasn’t in use. 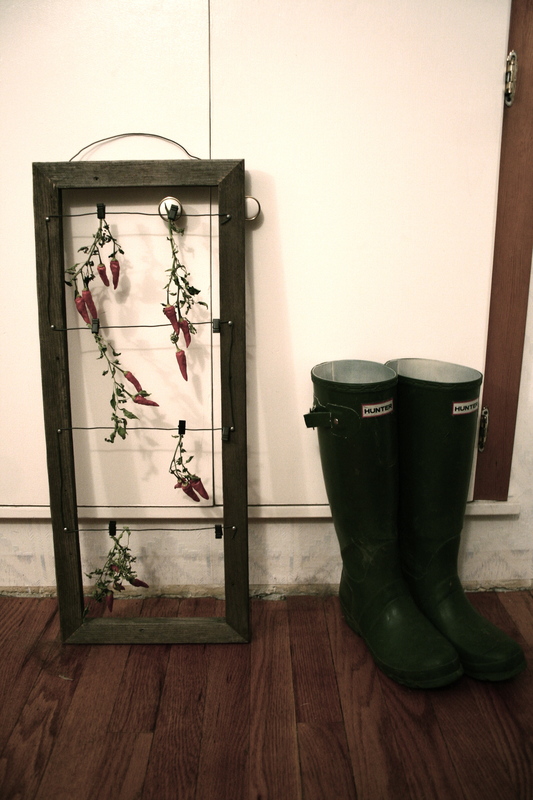 It is a simple frame with wire and clips, intended to be used for hanging pictures/cards/invites/etc. but then I thought, why not peppers? So I clipped the peppers on to the wire and Voila! Not only does it work, it looks beautiful (my lame photos don’t do it justice – just couldn’t find the light I wanted on these gloomy days). Any one else out there been forced into creative solutions? How do you preserve your food? I love hearing new ideas!